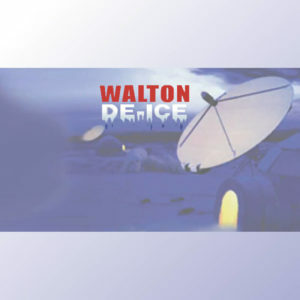 Walton De-Ice has over 36 years of experience helping customers protect their critical satellite networks from signal loss and degredation due to ice, snow, rain, and sun. 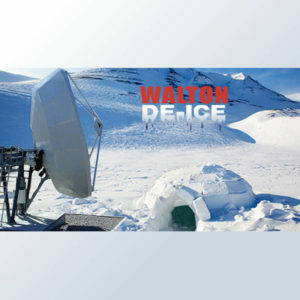 Walton De-Ice has become the leading satellite company in providing quality products that keep your your VSAT and large satellite earth station antennas operating during the harshest environmental conditions. 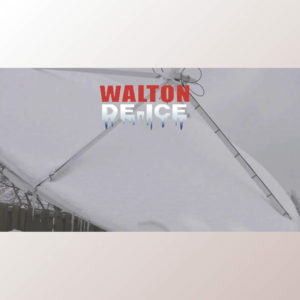 The original de-icing system includes a behind the antenna plenum which is heated with hot air from either liquid propane, natural gas or electric heating units. These systems are for antennas ranging in size from 3.7m to 32m in diameter. More recently, a line of de-icing products called the Snow Shield was designed and manufactured for antennas ranging from 0.6m to 6.3m in size using a PTFE Coated Fabric stretched over the satellite antenna. This system can include automatic heating and remote activation & monitoring. Aluminum casing with surface polishing treatment. The fixing center-distances, which are identical to those of the previous Micro series, ensures perfect interchangeability. Ball bearings set in specifically researched positions to ensure top-most efficiency throughout the stress caused by the centrifugal force. No more cards to pull out of a Mother Board with the possibility of damaging components due to voltage present. Only 1 board has all circuitry required for the new Control Units to monitor and control the same as the last generation DDC-400 would. Can operate as a Rain Blower and De-ice Control System. Passive cover is the same PTFE Coated fabric that is used to manufacture the antenna reflector cover. PTFE has the lowest coefficient of friction of any solid.